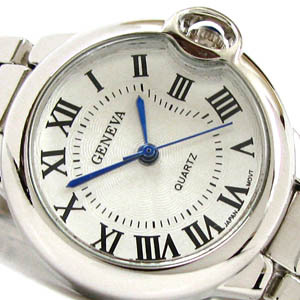 Beautiful Classic Roman Dial Watch featuring Blue Hands and classic Roman numerals. Watch look amazing on hand. Case size Diameter is about 1 inches. Silver shiny bracelet that will fit all wrist up to 7.5 inches (Removable links). Looks neat and stylish, water resistant and quartz Japan movement.